Also know as Triple Threat, a very popular co-ed activity consisting of drills to develop groundstrokes, volleys and overhead strokes, as well as proper court positioning. Fantastic workout and great fun. I request that the club pro & the Winnipeg Lawn Tennis Club (WLTC) accept my application to enroll in the indicated program. I understand that injury may occur and I hereby agree to absolve the club pro & WLTC, its employees and contractors from all liability should injury occur. I understand that the club pro & WLTC do not accept any responsibility for personal possessions and agree to absolve the club pro & WLTC from any cost or responsibility for loss or damage to my personal belongings. 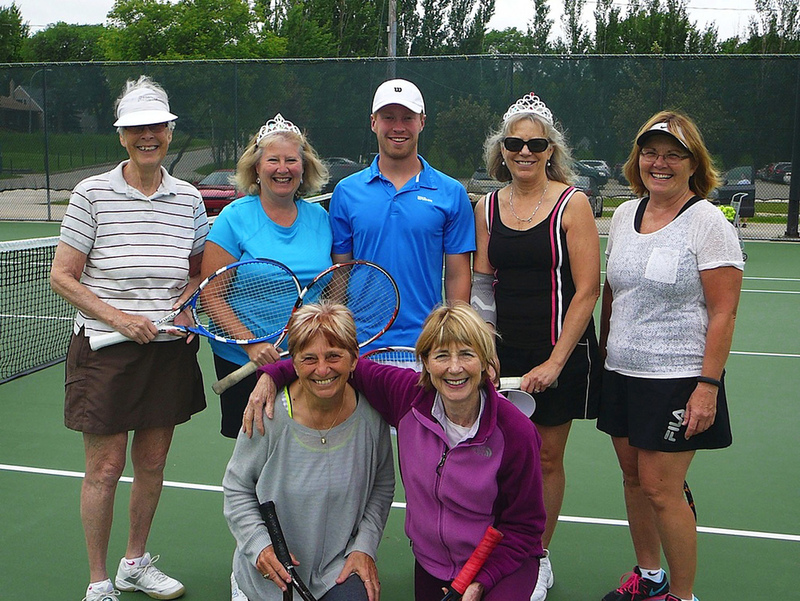 Thank you for signing up for a Queen/King of the Court Session. High intensity, small group fitness session using elements from both tennis and aerobics to deliver a super full-body, calorie-burning, cardio workout. All ability levels welcome. Thank you for signing up for the Fitness Clinic! The pro will be in touch to confirm with you.